As we were finishing up the weekend in New York, we headed down to Greenwich Village for Sunday brunch at Minetta Tavern. For the majority of the weekend it had rained, so when we woke up and the sun was (almost) shining, we decided to walk the forty blocks to brunch. Now these were short North-South blocks, not long East-West blocks, so it ended up only being a little less than two and half miles. This is the Citizen Kane of hamburgers: a complex, over-the-top masterpiece that’s enjoyable from beginning to end. The patty is made from a mix of dry-aged strip, skirt steak, and brisket from Creekstone Farms. 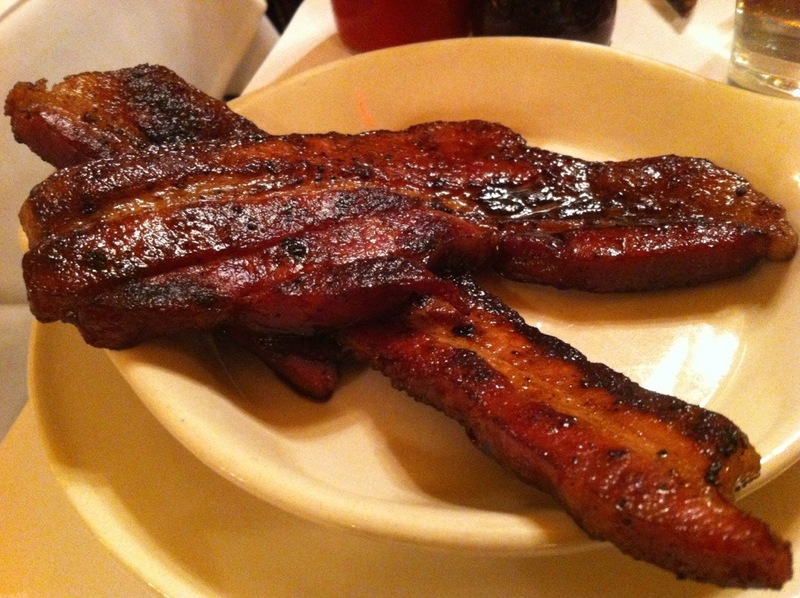 The meat is rich and very funky, like any great dry-aged steak. The caramelized onions add just a bit of sweetness. 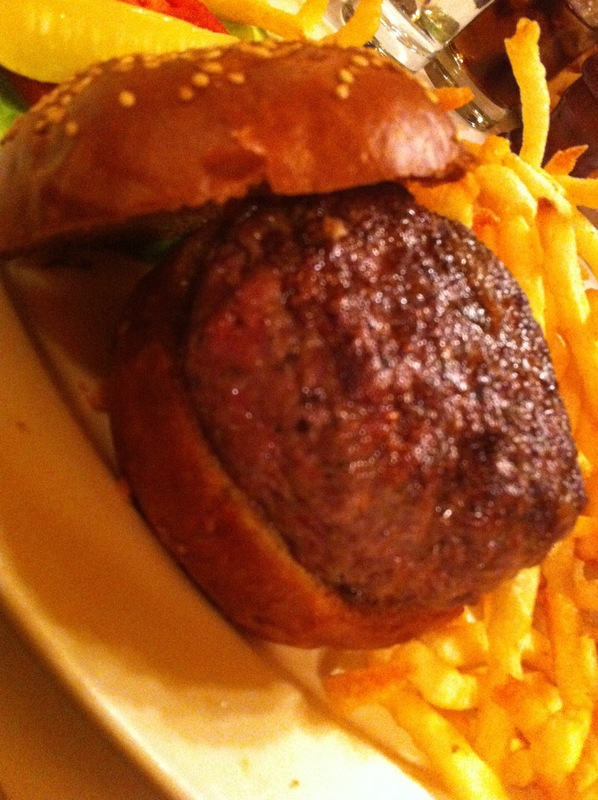 The Black Label burger at Minetta Tavern is New York’s best burger, and probably always will be. 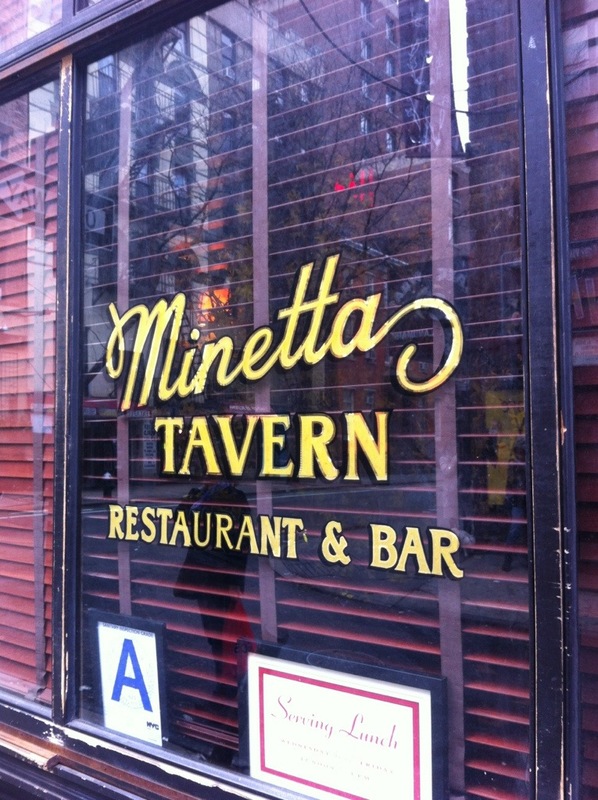 Minetta has been in the Village since 1937, on the ground floor of an apartment building, across the street from Cafe Wha? (where Hendrix played in the late 60s). Taken over by Keith McNally in 2009, he has created a speakeasy feel. Walking into the front door is like walking back in time: a long bar lines the left side, red leather booths line the right, and in back is a dining room packed with tables, with tie-clad servers in black and white scurrying about. The walls were covered in a mural-like wall paper that laid out the history of the houses in the area. 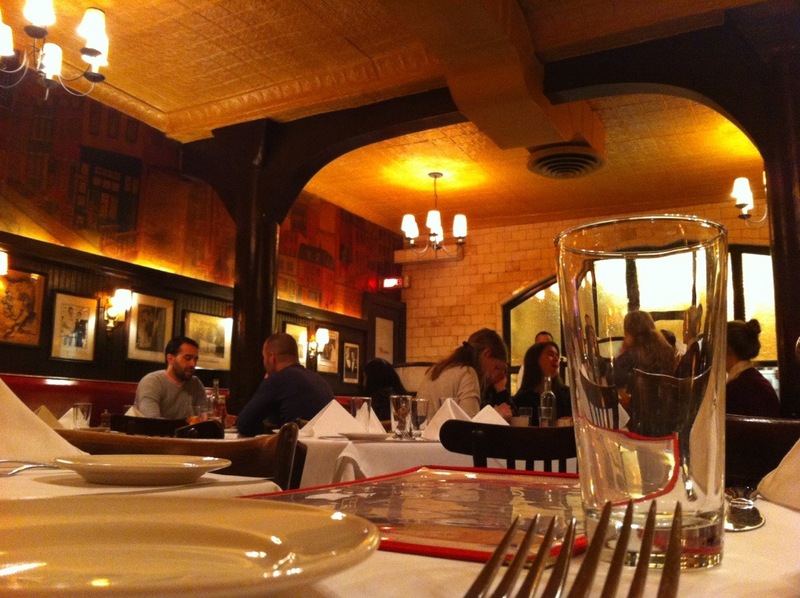 We were seated at a table for two, me on a banquette along the wall with Jo in a chair facing me. These tables were so close together that the table had to be slid toward the middle of the restaurant so that I could sit. So close that we became well acquainted with our neighbors (the couple to my right was from England and Minetta was on their food list / the mother and daughter to my left were visiting the city, celebrating a 29th birthday). I had made a reservation about two weeks before we came to NYC and, boy, was I glad that I had done so – by noon, the place was packed. We looked over the menu and debated the other dishes, including learning what “shirred eggs” were and deciding not to order them, but we had come for the burger. Jo’s ordered hers medium-well, I ordered mine, simply, “medium”. You know that taste that comes with a dry-aged steak? This was that, taken up a notch. I had this burger with nothing on it – a perfect marriage of beef and bread. It was one of the tastiest burgers I’ve ever eaten, pricy, but worth it. And the fries were excellent, skinny, crispy and crunchy. By the time we walked the two and half miles back to the hotel, logging five miles for the morning, I would have thought I’d have been looking for more food, but I was still fairly full. And reveling in the afterglow of that burger.